Kit includes all three above Hinge Doctors, as well as "The Hulk" for most residential hinges. Fix Sagging Doors in Fifteen Seconds! The Hinge Doctor® is the time saving, hinge restoration tool you have been looking for. Sagging doors repaired in seconds! We are very serious here. You need to see and use it to believe it. 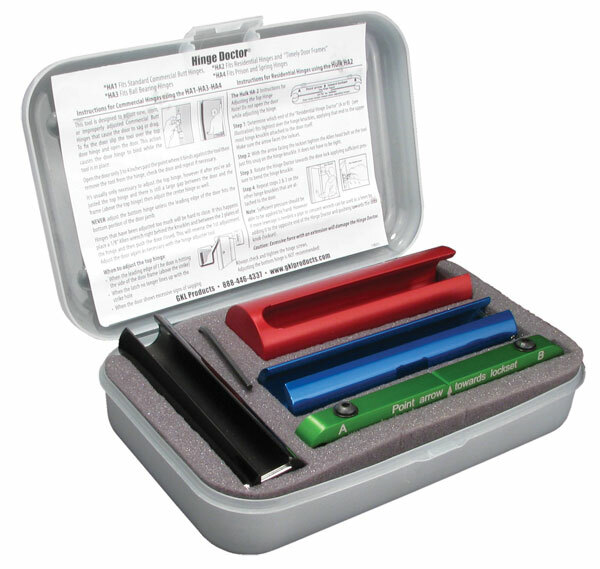 Hinge Doctors® are available in handy kits or individually. See the Hinge Doctor in action in our Youtube video How to Repair Doors with the Hinge Doctor Toolkit.